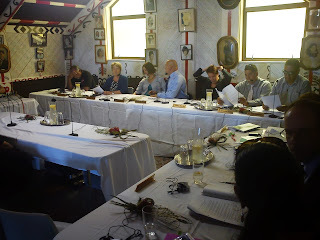 There were only two submissions heard by the select committee on the Mokomoko (Restoration of Character, Mana, and Reputation) Bill/Te Pire mō Mokomoko (Hei Whakahoki i te Ihi, te Mana, me te Rangatiratanga) at Waiaua (east of Opotiki) in February this year. The Mokomokmo whanau group themselves were one half - I was the other. 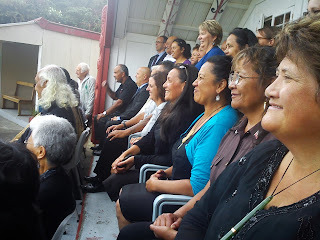 We hadn't co-ordinated anything and my contact with the whanau had been unofficial and fleeting, but I supported what the whanau were trying to achieve with the Bill. Māori Affairs Minister Pita Sharples paid tribute today to the descendants of Whakatohea Chief Mokomoko, as the Mokomoko (Restoration of Character, Mana and Reputation) Bill returned to the House of Representatives from the Māori Affairs Select Committee. Chief Mokomoko was tried and executed for his alleged role in the murder of Reverend Carl Volkner in Ōpōtiki in 1866. Seventy thousand hectares of land in the region were subsequently seized, and generations of the Mokomoko whānau have carried the stigma of bringing land confiscation or raupatu to the region. In 1992 Mokomoko was granted a free pardon, although Dr Sharples says it did not specifically restore his character, mana and reputation. Dr Sharples also applauded the whānau for their innovation and commitment to te reo Māori, as they have negotiated for the Mokomoko (Restoration of Character, Mana and Reputation) Bill to be enacted in te reo Māori and English. When passed, this will be the first time in New Zealand’s history that legislation has been enacted in Māori and English. 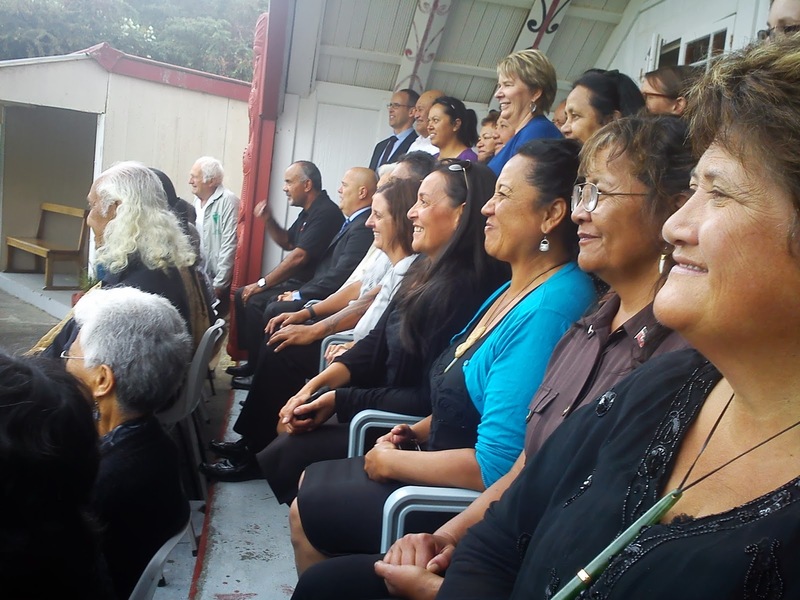 “I mihi to te whānau a Mokomoko for their courage and foresight in proposing to the Select Committee that the recognition for their tipuna be provided in Māori and English. This will be a first for our Parliament, to enact legislation in both Māori and English, and it is fortuitous that the Bill, in both languages, has been returned to the House on the eve of Māori Language Week” said Dr Sharples. Full report from the Maori Affairs committee - including all the new wording - can now be found at the legislation website. I am ambivalent at this point - having read the proposed changes (ie. a Te Reo translation) - because I would prefer the Bill recount the whole truth in English rather than half truths in both. Having said that however the equalisation of languages in the law is probably such a significant advancement that it will overshadow the historical account and apology that the committee (ie. the government and the faceless Wellington bureaucrats) have rejected. They have managed to keep the general injustices and the specific war crimes of the NZ government that were inextricably linked to the arrest, trial and execution - and now full pardon - of Mokomoko safely swept under the carpet. From research of the published material from the government and the newspapers at the time my impression is that both Mokomoko and Volkner were scapegoats and fall-guys used by others. Volkner was Grey's informant, a spy in the context, sent back by Grey even though they knew there was an aukati (emargo, cordon) in place by the Pai Marire ("Hau Haus") against missionaries, esp. Anglicans who had conducted the religious rites for the Crown forces and were therefore not neutral. He was most likely as an unwitting agent provacateur. The leader of the "fanatics" - Kereopa (who was tried and executed for Volkner's killing later in Napier) may have also wanted to cause conflict for tribal reasons. Mokomoko and Volkner were both in the preverbial wrong place at the wrong time. The response to the killing by the government was invasion and confiscation. The response if nothing had happened would have probably been to have made something happen so that they could invade - this was the atmosphere of militancy by the Pakeha settlers and the government that prevailed at the time. Combined with the other aukati killing of Fulloon and others at Whakatane about the same time things were tense. The NZ Herald, for example, was gunning for massive retailiation and complete confiscation from the outset. The details of how the government went about trying to arrest the supposed murderers of Volkner - a single German missionary - involve misdeed after misdeed: sending a fleet with over 500 armed men from Wellington as one of the first acts since the seat of government had been moved, declaring marshal law and bombarding the village of Opotiki and killing a dozen people or more in its occupation before the Orwellian "Peace Proclamation" had even been transmitted to the local people, and then the killing of several score more over the next few months as punitive expeditions were sent out to scorch earth all of the people in the area into "surrender". Village after village was burnt to the ground. The looting by the soldiers was wholesale. At one point the government forces set up a court martial that convicted twenty people that were going to all be executed - until the Attorney-General recommended against it. Instead of massacring the equivalent of a grand jury (that had deliberated overnight on Volkner's fate and the "mob" that had hanged him the following day) they chose a geo-political solution and a show trial in Auckland. The powerful chief who controlled the Ohiwa harbour area for Whakatohea along the borders with Ngati Awa and Tuhoe would be the sacrifice - Mokomoko. His whanau would be stripped - they were to carry the shame for the whole tribe. I have to note here too that this stigma that is talked about is very real, not imagined. This was demonstrated clearly to me by all the people you would normally expect to support initiatives that were not there and offered no support. Whakatohea have to be told the truth by the government as much as the general public. My submission (one of six in total recieved) doesn't appear to be online. [...] Secondly, the text of the agreement – and the Bill it promotes – is only a cursory acknowledgment of selected facts entirely from the NZ government’s position and contains no substantive redress. This leaves the impression the NZ government is still in a state of denial. Despite this objection I have supported the late Tuiringa (Manny) Mokomoko and the Mokomoko whanau in their efforts to seek a legislative outcome. 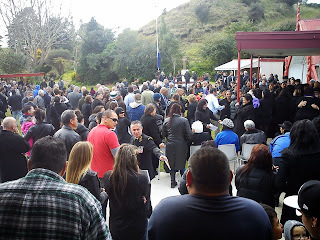 The Bill as drafted fails to deal satisfactorily with the context in which Mokomoko was arrested and killed and to record the facts surrounding the NZ government’s invasion and occupation of Mokomoko’s lands and that of Te Whakatohea. These omissions are plainly made to spare the Crown’s dignity and consequently act to diminish the loss and suffering of the Mokomoko whanau and Te Whakatohea. These omissions mean the whole truth is not being told and that amounts to misinformation. These omissions are an avoidance of the Crown’s responsibility as a Treaty “partner”. As a prelude to a Treaty settlement with the Te Whakatohea this Bill has the potential to broach these issues – and it should. To view this Bill merely as an annex to a pardon or a technical fix to another statute would be to seriously underestimate what is at stake for the whanau Mokomoko and the Whakatohea Iwi. So there is no historical account of facts to put it in perspective - and no apology, just "regret". This is itself regrettable. The excuse contained in the committee recommendation of needing Cabinet approval to change or add anything and needing another agreement with the whanau is a cop out. The excuse that all this can be dealt with in a settlement bill for Whakatohea (occuring in the never-never) is a cop out. I'm not sure what intervention to support the whanau can be made at this stage in the process. The NZ Herald reporter's article on the hearing was par for the course - no historical analysis. This was disappointing because I told her that the Herald's own files from that time would be worth a look, but she had already pre-written her piece and I'm picking that the NZ Herald's own role in this tragedy is as shameful as the government's.